The key to success is a passion that says “we are desperate to do it!” Also important are a firm attitude and everyday efforts to grab all the luck that comes our way. Kunihiro Tanaka, President of SAKURA Internet, successfully listed his company in the TSE’s First Section in 2015. 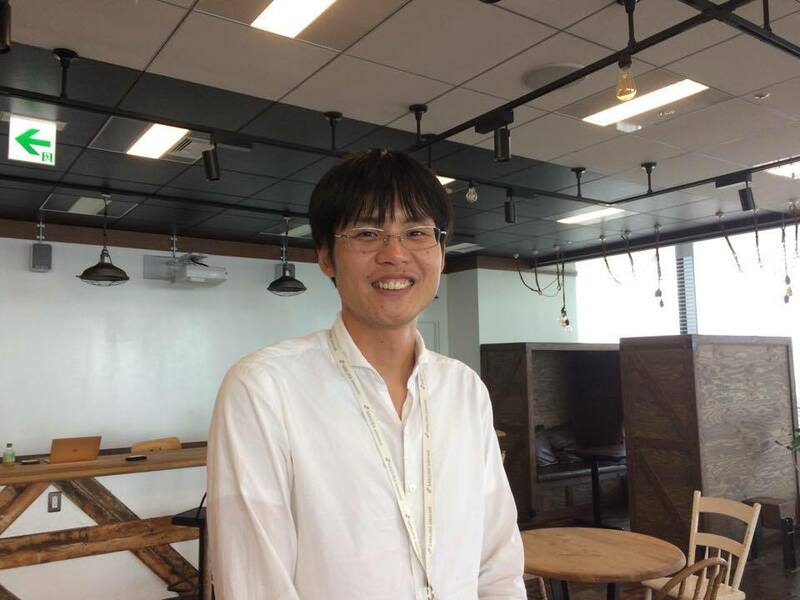 An “engineer boy” who originally aspired to make a robot, he built his current business of offering server hosting when he was in the third grade at National Institute of Technology, Maizuru College in 1996. Looking back, he said he enjoyed those days of deciding specifications, updating functions every day, and helping people disseminate information. There is little change in his passion for servers and for making users happy even now that the company is listed. There were a lot of frustrations and difficulties before he succeeded in realizing his dream and obtaining both status and money, though things looked like smooth sailing. He founded a corporation with an office in Osaka City in 1998, the year he graduated from college. At first, aided by the IT bubble of those days, sales steadily grew and the organization became larger accordingly, which caused a problem: more fixed costs including rent and personnel expenses. Though he initially started his own business to manage servers, he became busy obtaining financing. Furthermore, after the company received venture capital investment in 2000, it naturally aimed to be listed on the stock exchange. He felt less freedom as there were more interested parties. After considering deeply what he really wanted to do, he decided to retire from the president position in December 2000. While he was engaged in management as vice president, the company was listed on the Mothers section of the Tokyo Stock Exchange in 2005. However, two years later, in 2007, slumps in expanded business sales caused excess liabilities. Then, he took the helm of the company again after seven years. Amid this difficult situation, he emphasized offering services that make customers happy at reasonable prices, which was the starting point of the company. Understanding that society’s structure had been changed by the collapse of the IT bubble and advent of the iPhone and iPad, the company constantly worked to solve customers’ problems. As for organizational management, he placed importance on communication, thinking dissatisfaction often arises from lack of communication. He thought it is important to communicate to the fullest, instead of guessing that people probably understand. Even now, when the company has nearly 500 employees, he communicates with his employees as much as possible to find out whether the workplace is comfortable for them or not. Finally, we asked him what the most important factor is for an entrepreneur to make a company successful. He says “When we make a plan, the plan will not necessarily go well. What is important is a firm attitude, everyday efforts to grab all the luck that comes our way, and a passion that says ‘we are desperate to do it!’ We don’t know if we’ll succeed until we try, but those who don’t make efforts and have no passion never succeed.” When we heard him explaining his thoughts calmly, we felt his earnestness. We recognize that his gentle personality, always courteous and smiling, and modesty about its being listed, must be keys to success.